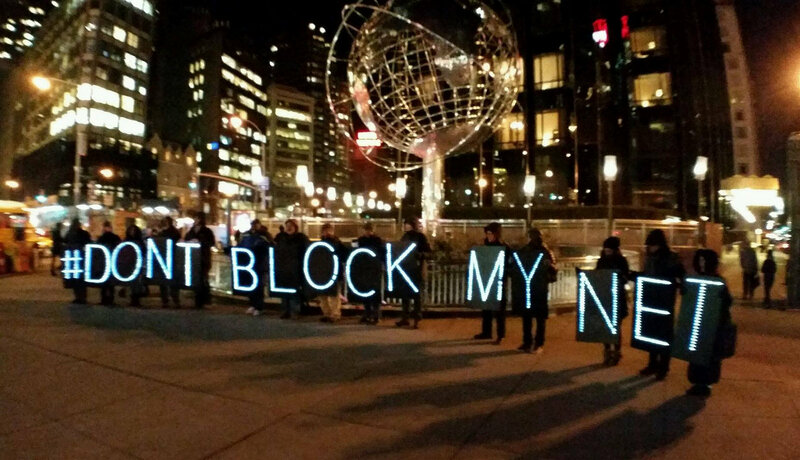 Is This the End of Free and Open Internet Access? Home Newswire Is This the End of Free and Open Internet Access? It means that it doesn’t matter if you’re a brand-name corporation or an unknown start-up, a billionaire or a poverty-wage laborer — you’re entitled to equal treatment in sending or getting information on the worldwide web. However, corporate executives never let virtue stand in the way of profit. We’re told that access to this information highway is crucial to your and my educational achievement, future prosperity, and ability to be self-governing. It’s vital to our nation’s well-being. Yet access to the digital highway isn’t treated like a public service. Instead, it’s controlled and sold to us by a few for-profit corporations — so few that selling internet service has become a non-competitive market, letting service providers extract excess profits from customers. And now they’ve convinced Donald Trump & Company to dump the idea of net neutrality, erasing this public benefit to grab greater profits. Rather than having one big broadband freeway open for transporting everyone’s content, the internet service monopolists intend to create a special system of high-speed lanes for the richest producers of content. This express lane will be made available to those who want to rush their content to the public, leaving everyone else’s jammed up in the slow lanes. Meanwhile, the internet providers will charge a premium price to those who can afford to have their content channeled into the high-speed toll lanes. If smaller providers can’t afford it, they lose. And so do you. A broad coalition of enraged and net-savvy groups has arisen to defend the internet’s democratic essence. You can join them by visiting www.BattleForTheNet.com. The post Is This the End of Free and Open Internet Access? appeared first on OtherWords.